9 Cybis welcomed in 2018 not with a bang, but with a splash at Llyn Llydaw. 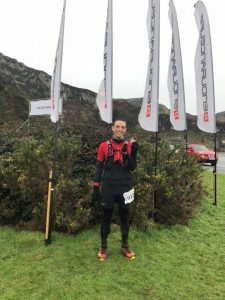 An event not for the faint hearted (or those feeling a little worse-for-wear…), this slightly soggy race saw competitors scramble though mud, rocks, and a conveniently placed bog. First Cybi home was Irfon Rowlands, who also won the M50 category in a time of 53:38. Next through were Peter Jones who came second in the M35 in 56:54, followed by Dyfnallt Huws in 1:00:02, and Ian Mulligan in 1:08:06. Kevin Clark and Rhi Willmot were treated to Ian’s enthusiastic race commentary throughout the course, finishing in 1:08:07 and 1:08:05. AT Jones finished strong to take the win for the M60 category, followed by Ruth Harvey and Sue Jones who both took second place for their age categories (1:22:65 and 1:23:20 respectively). 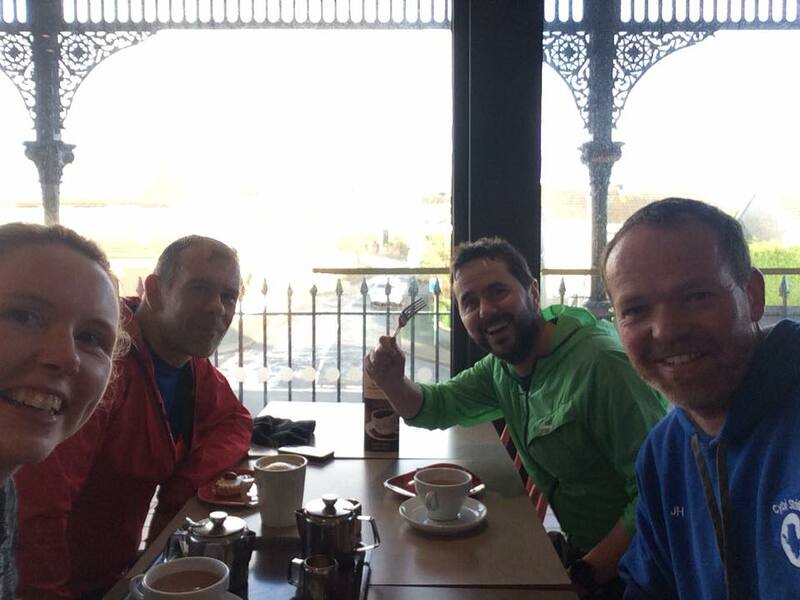 On the same day, several Cybis also enjoyed a social run, topped off with some celebratory New Year’s cake! 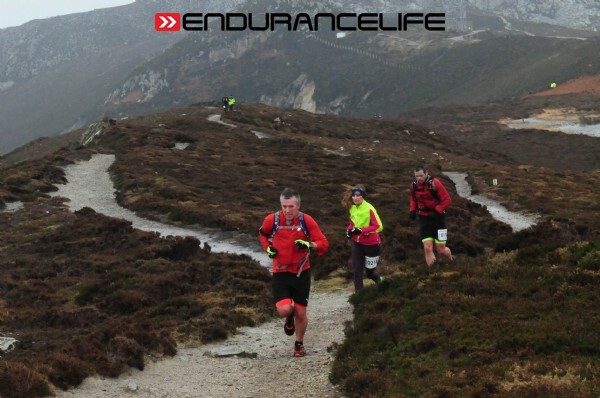 The first event in a bumper weekend of racing was the Endurance Life Costal Trail, Holyhead. This race includes 10k, half-marathon, marathon and ultra-marathon distances. With blustery conditions and technical trails, competitors were in for a challenging journey along the beautiful clifftops of the Holyhead coastline. The half-marathon course runs for 14.7 miles, including over 2000ft of climb. The first Cybis to tackle the trails were Rhi Willmot and Kevin Clark, who arrived home in a time of 2:37:28. Rhi finished as first overall female, winning a lovely gold medal. AT Jones also put in a strong performance to finish 2nd in the MV60 category, with a time of 3:22:52, and Sal Seeny made an incredibly impressive return to racing after being very poorly over the festive period, finishing in 5:35:09. …and if those figures aren’t quite enough of a challenge, there is always the ultra distance! 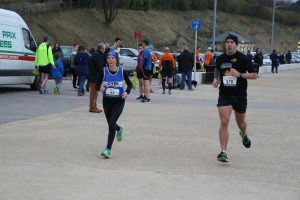 This course includes all of the muddy, traily, hily fun of the marathon and 10k combined, totalling a 33.5 mile distance and 3,549ft height (not to mention an early start whilst the sun is stillnrising). Ian Fergusson had a sterling race to finish 5th overall in 5:50:32, whilst Darren Seeny also battled over this epic distance to finish in 8:05:23. 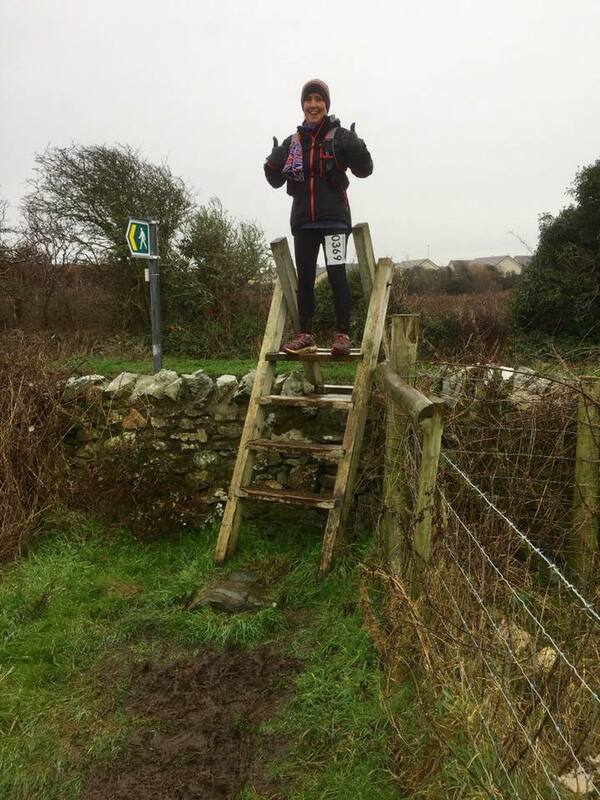 Whilst some members were getting their fell shoes muddy, others donned their road trainers to take on the Twin Piers. Participants in this event are transported to Llandudno, racing back on a flat and fast 10k course along the promenade to Colwyn Bay. 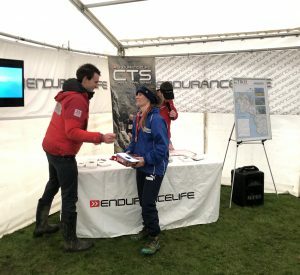 Some excellent club times were posted, with Ryan Roberts finishing in 5th overall and 3rd in the senior men’s category with a time of 34:28:00. Next in at position 11 was Andy Savage in 36:59:00, and taking the win for the men’s V45. 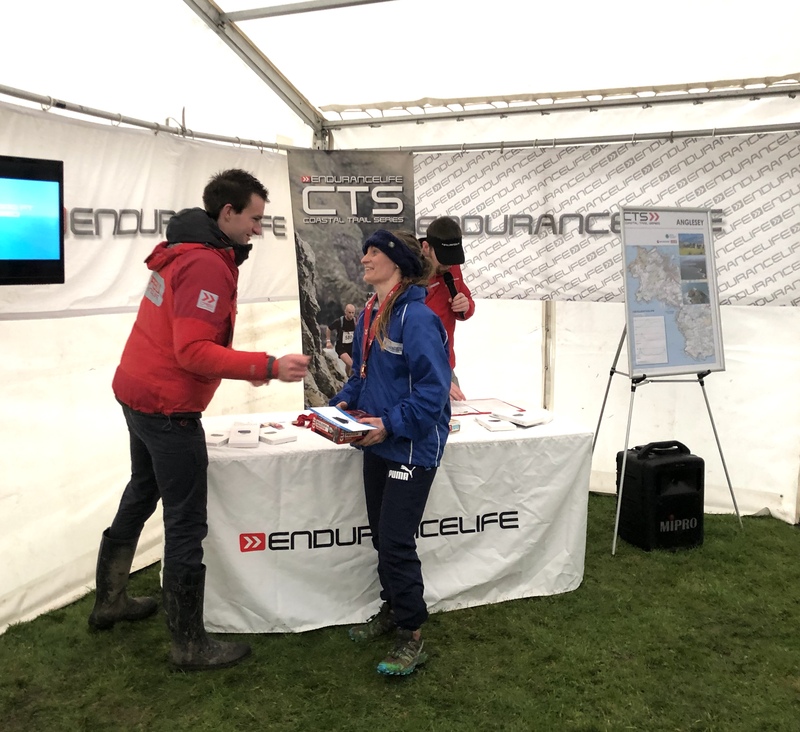 More strong performances were given by Nigel Holmes who finished 4th in the V55 category in 44:50:00, Sian Ellis who took 19th overall female and 3rd in the V35 category with 49:02:00, and Di Holmes who achieved 4th in the V55 category with 53:19:00. Peter Jones, Chris Thomas, David Ellis, Dewi Williams, Paul Maitland & Ieuan Davies also raced, so a very well done to all representing the club. 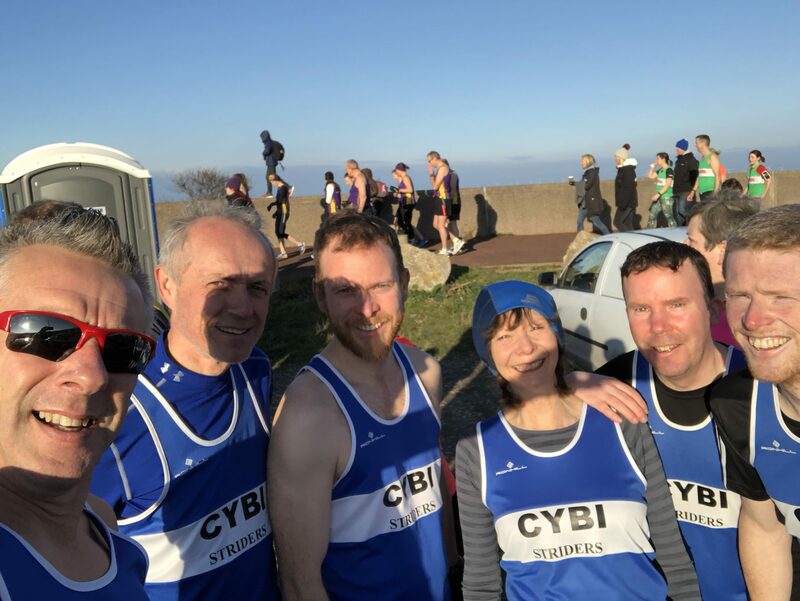 It seems that Kevin Clark, Nigel and Diane Holmes had a lot of energy to burn off this weekend, featuring in more racing at the Borders League event in Abergele on Sunday. A beautifully sunny start to the day saw Kevin, Nigel and Di joined by a strong turnout from Cybi. Peter Jones was first home finishing in 31:16, followed by Chris Thomas in 32:55 and Kevin Clark in 33:05. Nigel Holmes shaved a little time off his course PB to finish in 35:13, followed by Sion Roberts in 38:29 and Diane Holmes who achieved a new 5M PB of 42:28. Well done all, what a great start to 2018! 3 Responses to "The first two weeks of 2018"
Hi I am 65 and looking to start jogging. Any advice please.